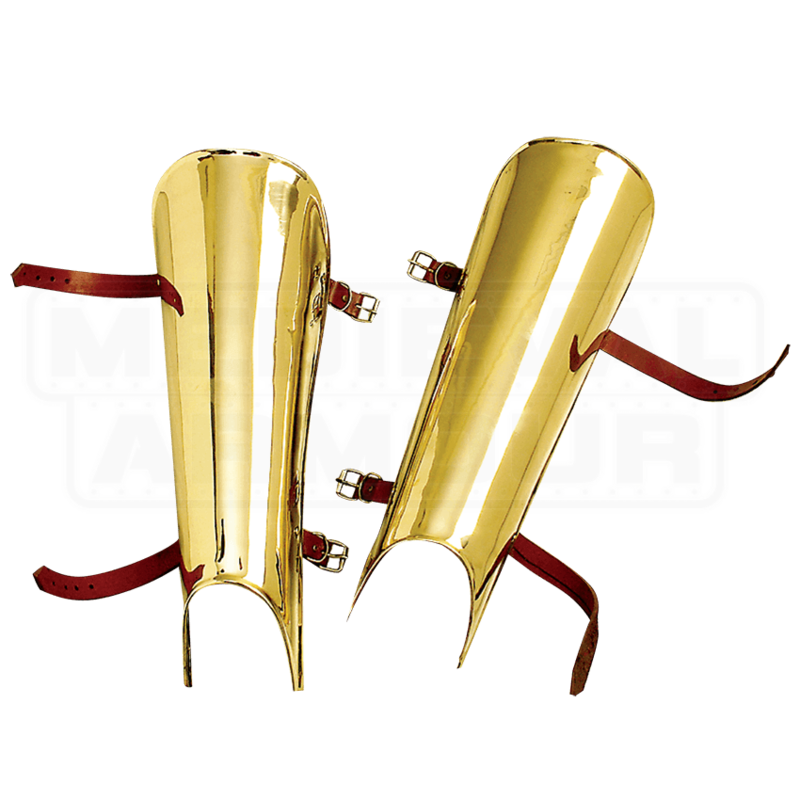 Greaves were typically worn as a part of a suit of armor to keep the wearers legs protected, although these Brass Greaves can be worn on their own or as parts of piecemeal suits to provide the exact level of protection that their wearer desires. Simple and straightforward, these greaves are lacking in decorative detailing, although they make up for that with their solid and straight-forward level of protection, as well as their gleaming, polished, brass-metal look. The greaves are constructed from thick brass-metal with rolled edges, to ensure that no metal catches, on either fabric or skin. They only come in one size, although they are fairly adjustable, given that they are worn via adjustable leather straps and buckles that wrap around the back of the leg. 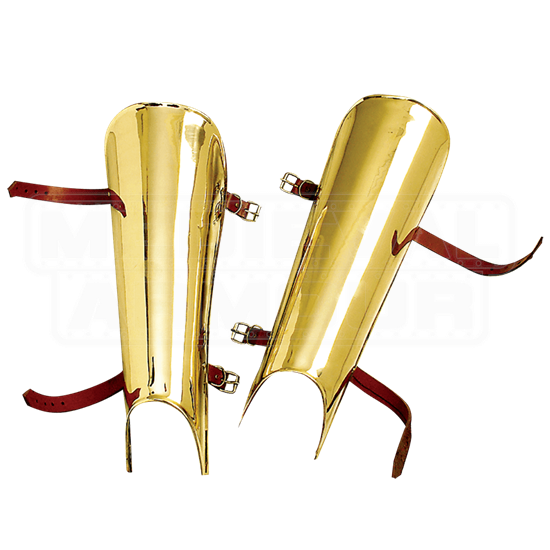 These simple Brass Greaves would make a particularly good accent to any Roman armor or gladiator look, although they look good with virtually any suit of armor. You can wear them as a great accessory to any fair, or even put them to use as armor in your next LARP battle or mock combat event!